One of a kind furniture makes every shopping experience unique. 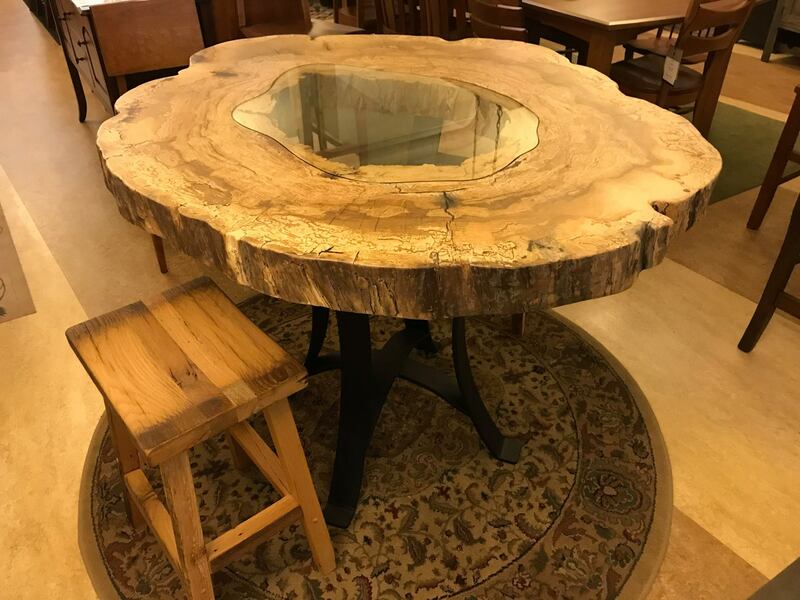 Amish Originals Furniture Company features unique pieces of furniture throughout our store like this Spalted Maple Pub Table. These exquisitely designed, hand-crafted, heirloom-quality items will make your home the talk of the town. Why have a table that your friends have when you can have a focal point in your home that no one else has? These completely original, distinctive pieces make every trip to Amish Originals a new experience. It’s worth stopping by the sprawling store in historic Uptown Westerville often to see what exceptional furnishings our Amish crafters from Northern Ohio have come up with to enhance your décor. We have several shapes and sizes of our live edge tables available, each completely unique. Perfect as the focus of a dining room or as an accent table off-to-the side, these pieces are certainly conversation starters. Seize the opportunity to gather your friends and family around a table as gorgeous and one-of-a-kind as your home.